Welcome to Spanish Springs Storage! Whether you are looking to get rid of clutter in your garage or need extra space to accommodate your RV or boat, Spanish Springs Mini Storage is your solution for additional space. Our fenced and lighted facility is both convenient and secure. 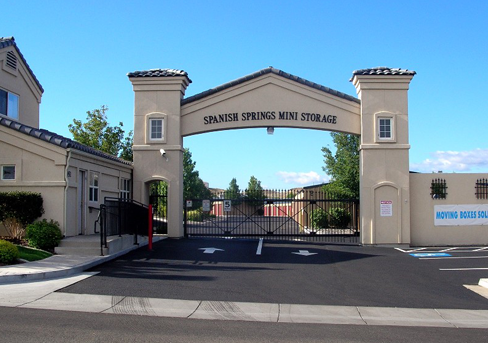 Your possessions are in good hands with Spanish Springs Mini Storage. We offer low rates and a discount when you pay for six months in advance. Give us a call at 775-626-7272 for more information on rates, storage unit sizes or to reserve a space. You’re also welcome to drop by our location. Storage Tips Not sure how to pack all of your possessions inside your storage unit? Watch this video and learn how easy it is! Space Estimator Use our Space Estimator Tool to accurately calculate what size unit you will need to store all of your items! What Fits Video? Visit our Storage Tips page to learn more about how to properly store items inside your storage unit! Copyright 2013 Spanish Springs Mini Storage All Rights Reserved.